This is Lintama Apollo ‘Polo’. He was born on 12th December, 2012. He is very cuddly, affectionate and fairly quiet. He does like a conversation though. I am surprised to see that he has grown into such a muscular, traditional adult Siamese. He doesn’t have the round eyes or ‘bunny’ ears which are frequently seen amongst the traditional type. I am very pleased to have got the right combination. His head appears round due to him having jowls which you get in the entire boys. Neutered boys don’t have this. We have had a double pen built recently in which he has one pen and the other as storage or for mum and older kittens in the summer. Polo is a very sociable boy who is so gentle and is not aggressive with his ladies; more of a gentleman actually but still gets the job done. He has sired quite a few litters of kittens and all seem to be very healthy. He also passes on his lovely temperament. 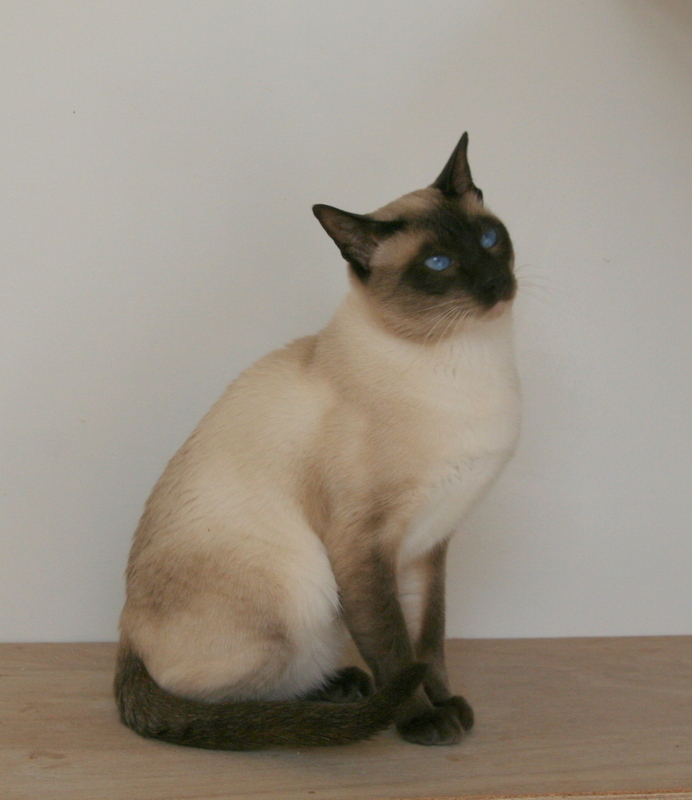 Polo is a chocolate point carrying dilute (blue). He has been tested for the Progressive Retinal Atrophy (PRA) gene and has proved normal (negative) by the Langford laboratories in Bristol. The certificate from them is available to view.